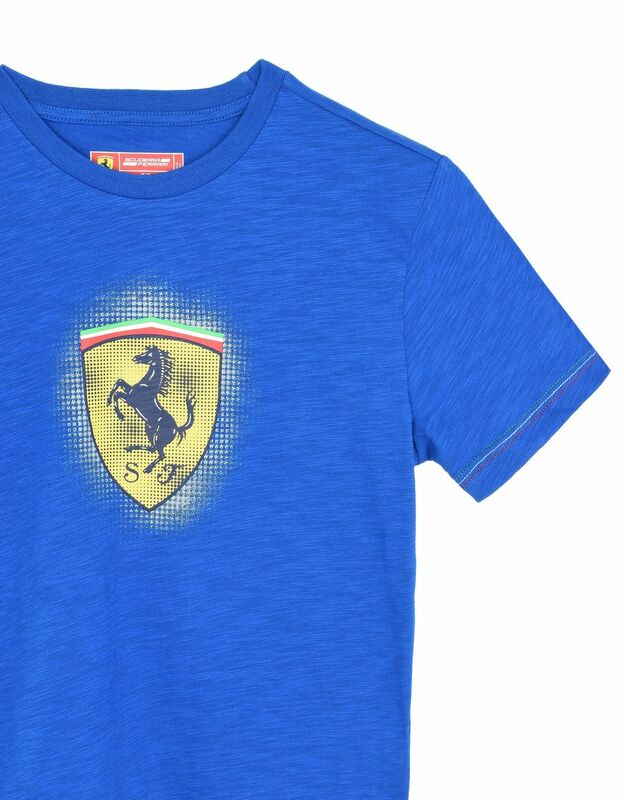 Destined to become a wardrobe favorite for young Ferrari fans, this solid color short-sleeve T-shirt is made unique by the iconic yellow Shield printed with a 3D technique in the center of the chest. 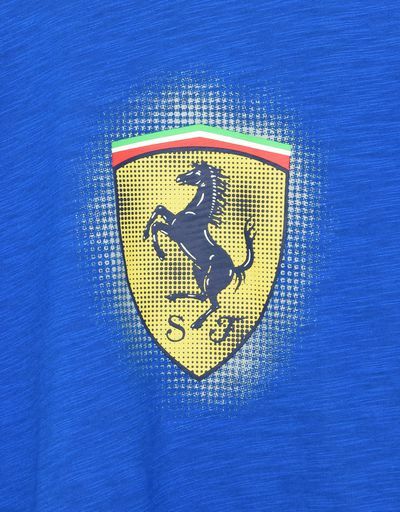 Gray dots, which evoke the asphalt of Formula 1 circuits, outline the print. 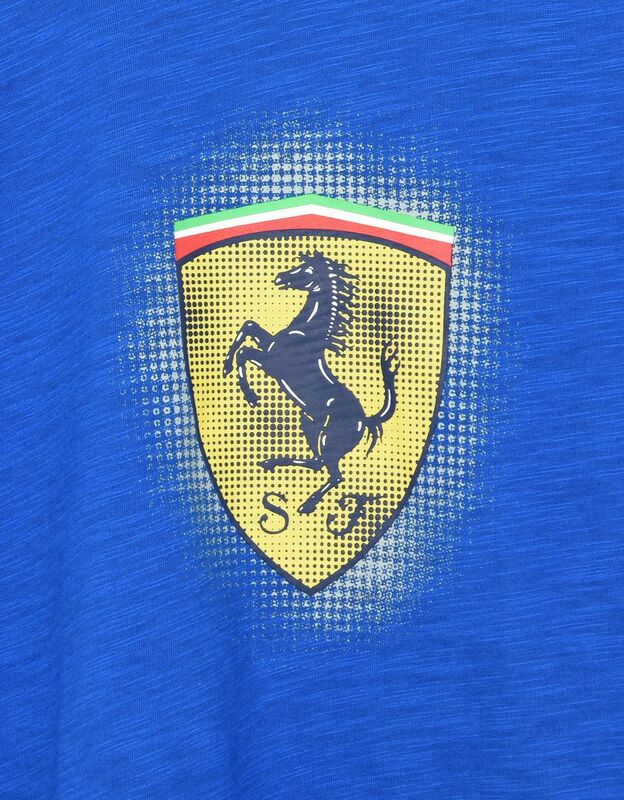 The edges of the sleeves sport stitching in the colors of the Italian flag. 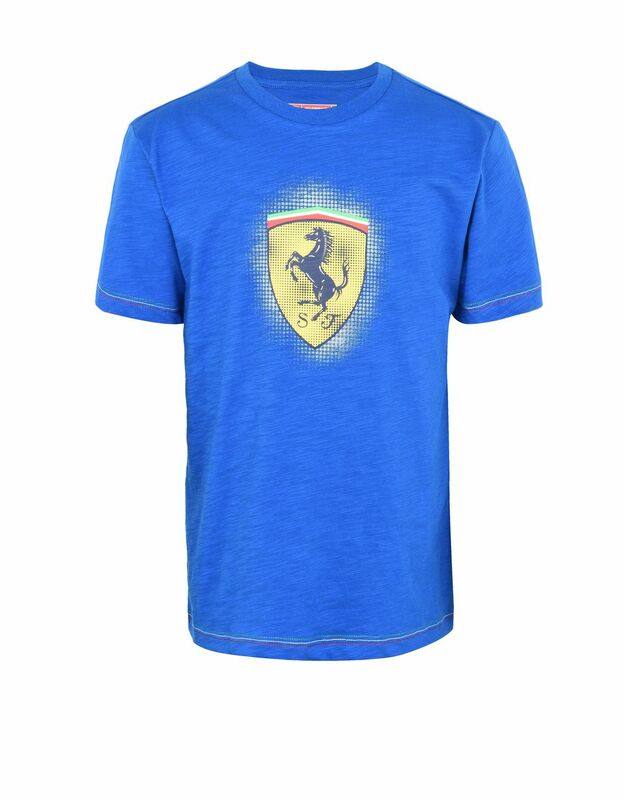 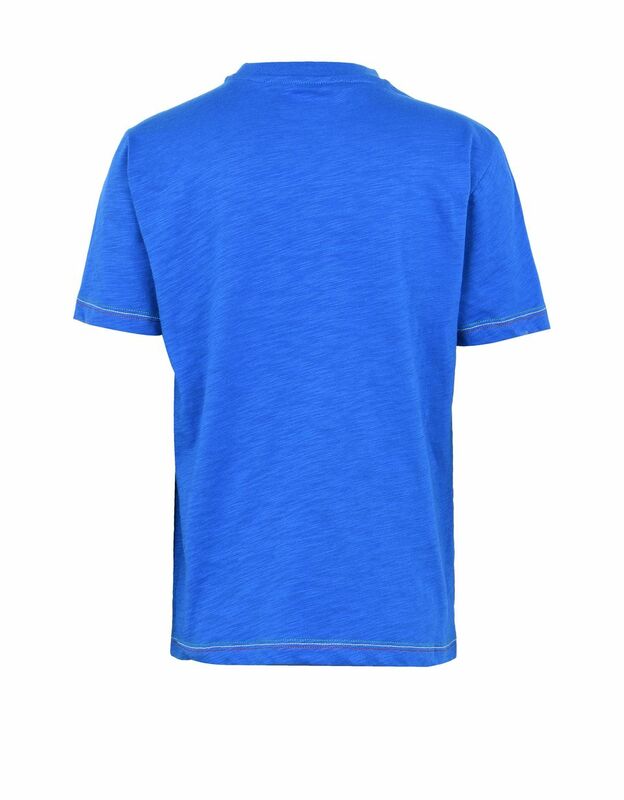 This Scuderia Ferrari T-shirt for teens is perfect for free time.